30 Lessons for Loving. Karl Pillemer. 2015. Hudson St. Press. Great advice from actual couples on how to keep a relationship thriving. The 5 Love Languages. Gary Chapman. 1992. Northfield Pub. A useful way of looking at how we express and receive love. Love and Awakening. John Welwood. 1996. HarperCollins. A transpersonal and spiritual approach to intimate relationships. The Invisible Partners. John Sanford. 1979. Paulist Press. A very insightful application of Jungian ideas to relationships. A Little Course in Dreams. Robert Bosnak. 1986. Shabhala. An excellent exposition of dreamwork. Dreamtime &Dreamwork. Ed. Stanley Krippner. 1990. Tarcher. A selection of writings on dreamwork. Care of the Soul. Thomas Moore. 1992. HarperCollins. 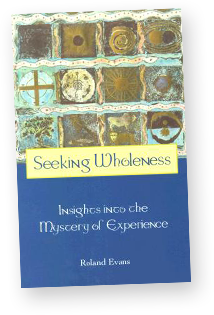 A classic guide to cultivating depth and sacredness in everyday life. Inner Knowing. Ed. Helen Palmer. 1998. Tarcher/Putnam. A selection of inspired writings on consciousness, creativity, insight and intuition. Sabbath. Wayne Muller. 1999. Bantum Books. A passionate argument for slowing down and making our lives more sacred. Jung: Selected Writings. Anthony Storr. 1983. Fontana. A comprehensive introduction to Carl Jung’s main ideas and writing. Mirrors of the Self. Ed. Christine Downing. 1991. New Consciousness Reader. A selection of writings on the application of archetypal Jungian ideas to self-development. EMDR. Francine Shapiro and Margot Forrest. 1997. Basic Books: HarperCollins. A popular introduction to the benefits of EMDR. EMDR Institute. http://www.emdr.com/ This site has some useful studies of EMDR. EMDR International Association. http://www.emdria.org/ This is the professional organization for EMDR practitioners.